The First Day of Spring has brought with it a spell of deep reflection— a reflection on life and how we as human beings live it. So many of us (myself included) walk through life nearly dead. No passion, no purpose, no zeal for living. Many of us, zombies just trying to get by. We are bogged down with 50 hour work weeks at a job we don’t even care about. We are disgusted at ourselves for whatever reason. We are too concerned with each others life that we forget to live our own. Well thank goodness God gave us Spring to remind us that we can be reborn into a new person. Spring is natures way of saying WAKE UP humans! 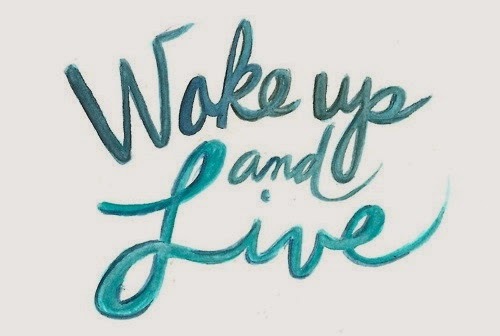 Go and live life in a beautiful way. Nature is my guide and my inspiration. As I watch mother nature decorate the earth with flowers, butterflies and sunshine, I am filled with hope. Hope that this world will wake up and start living. As the planet enters into a state of renewal, I will too. Shedding the old, making way for the new. Put this song by Alexander on the top of your Spring playlist!